You guys, if there are two things I love, they are Montana and food. I come by my love of both honestly. After all, when you grow up in Montana at the foot of the Rocky Mountains and when you have a grandpa who was constantly cooking in the backroom of my family’s general store and regularly asked if I wanted to “taste something good,” you’re bound to fall in love with both food and Big Sky Country. Sidenote: Much to my grandpa’s dismay, I didn’t think everything he made was as delicious as he did. 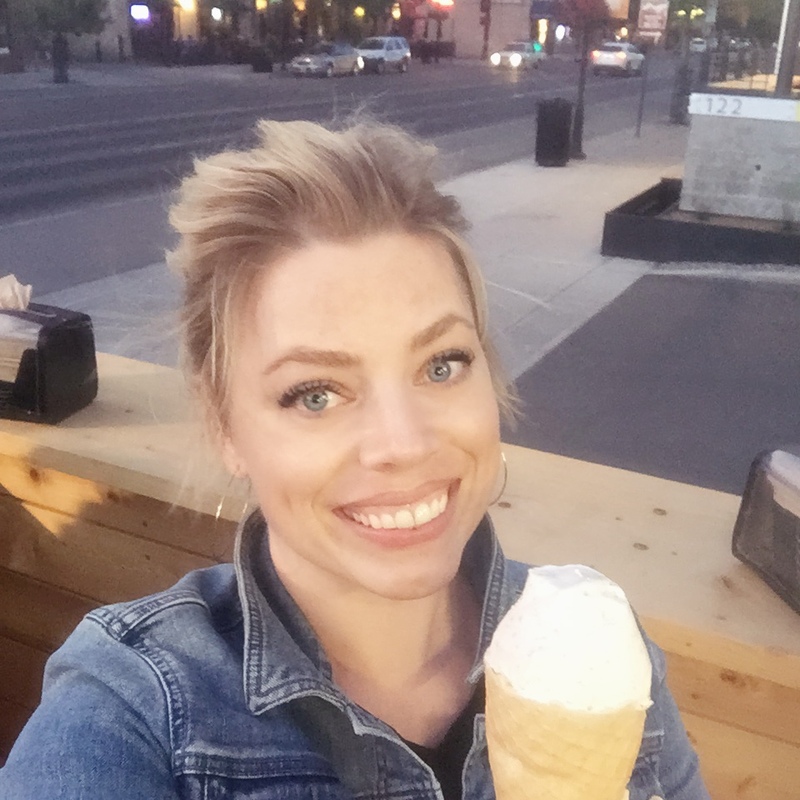 Earlier this month, I was able to combine those two loves on a road trip that took me and a few friends on a foodie tour through Western Montana, with stops at some of the state’s tastiest dining establishments. 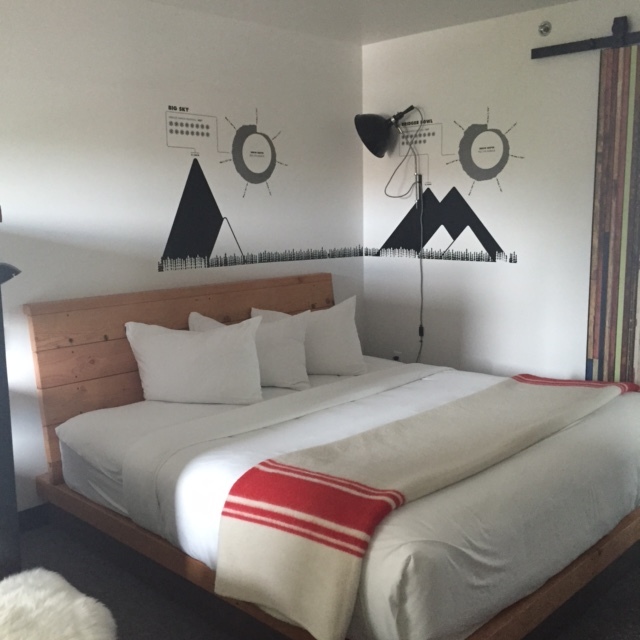 We started our trip in Bozeman, where we checked into our adorable rooms at The Lark in downtown. (Honestly, I cannot say enough good things about this hotel. It’s now my #1 pick for hotels in Bozeman). 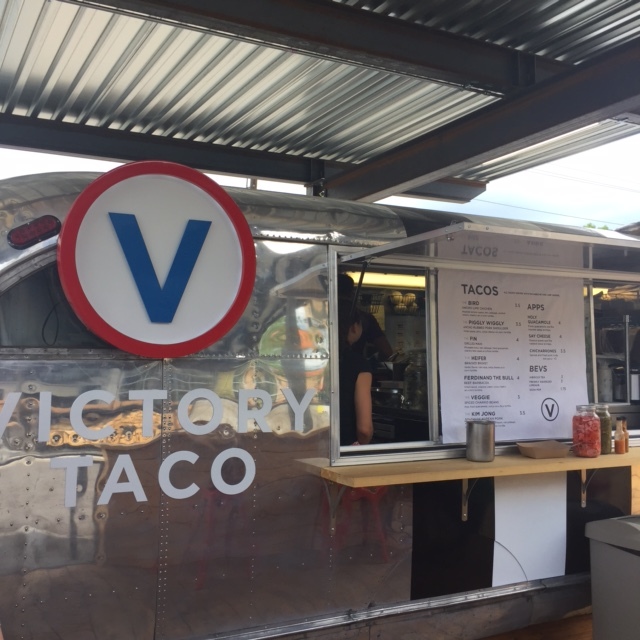 After settling in, we headed out to Victory Taco (located in the hotel’s parking lot) to fill our tummies on tacos and ice cream. My room at The Lark. Things I loved: the barnwood door, the ridiculously soft sheets and the hand-painted murals above the bed. Tacos happen to be my favorite thing to eat. 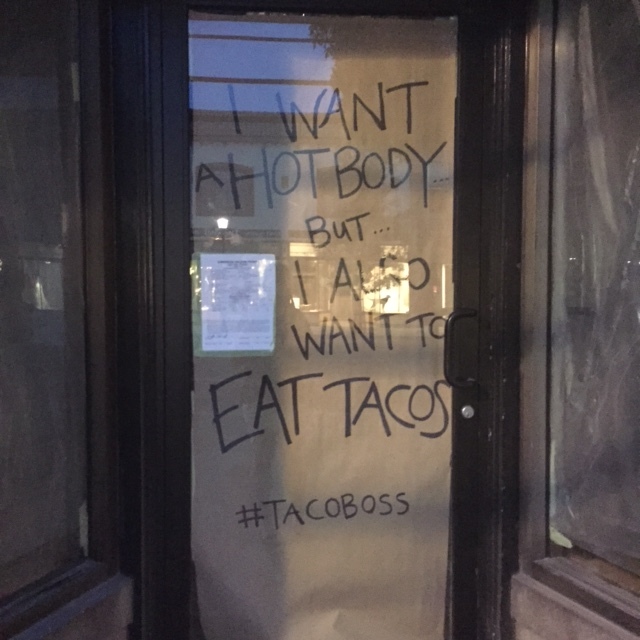 Also, be sure you try their guacamole. I think it’s a little piece of heaven here on earth. Happiness is freshly toasted coconut ice cream. After spending the night in Bozeman, we traveled north to Montana’s most funky city—Butte. 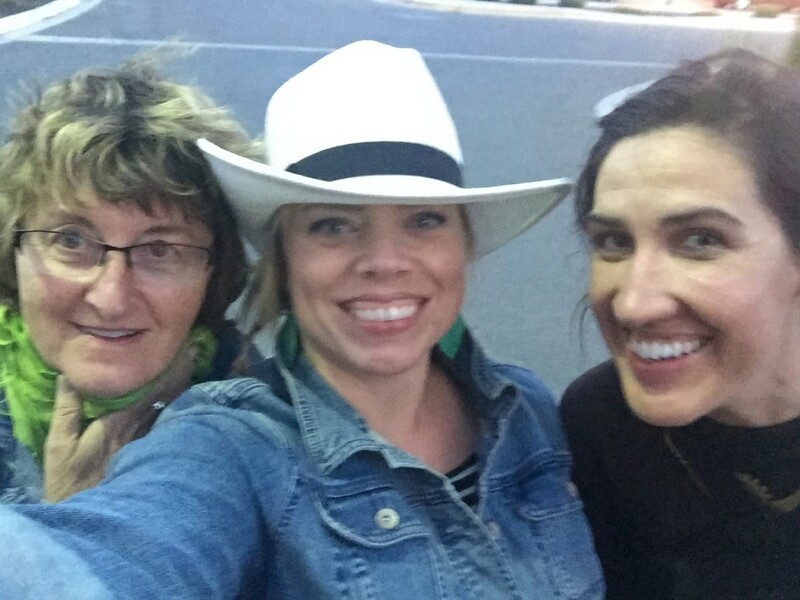 Honestly, this Montana girl has not spent that much time in Butte and…I LOVED it. We arrived in Butte in time for lunch, which was a pork chop sandwich at The Freeway Tavern, before hopping on a trolley tour. 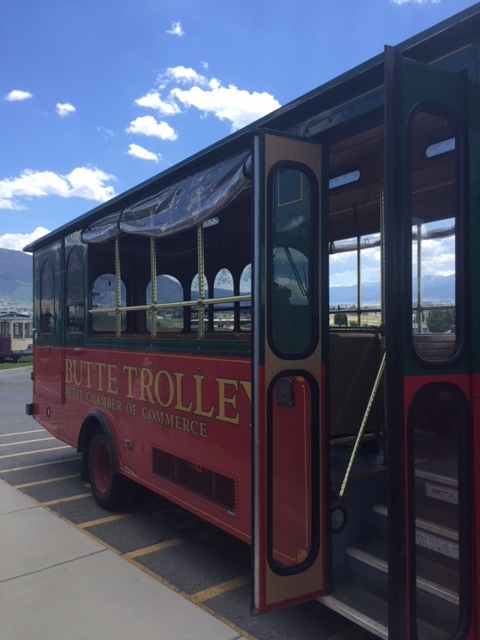 The tour gave an in-depth look at Butte and I’m now determined to spend more time there. Sidenote: That pork chop sandwich was so good that I’m still thinking about it. 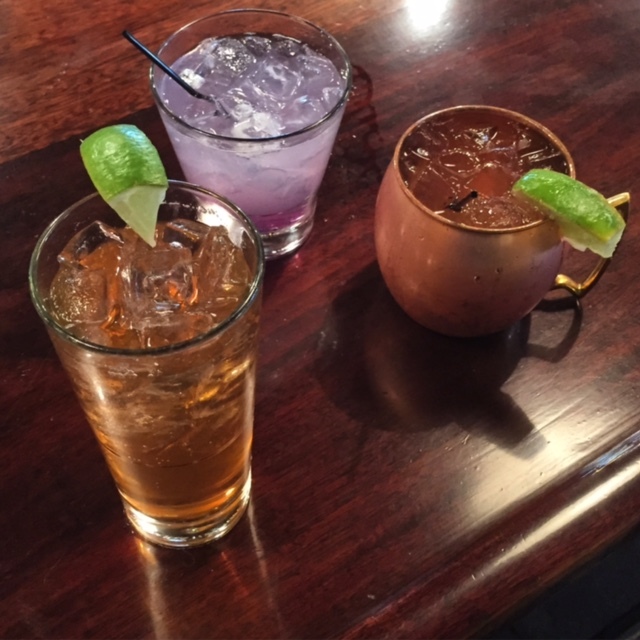 Another must stop destination: Headframe Spirits in uptown Butte. The trolley tour was a great way to cover a lot of ground and our guide gave great insight and history into this once wild city. After Butte, we ventured to one of my favorite Montana towns, Philipsburg, via Montana Highway 1. 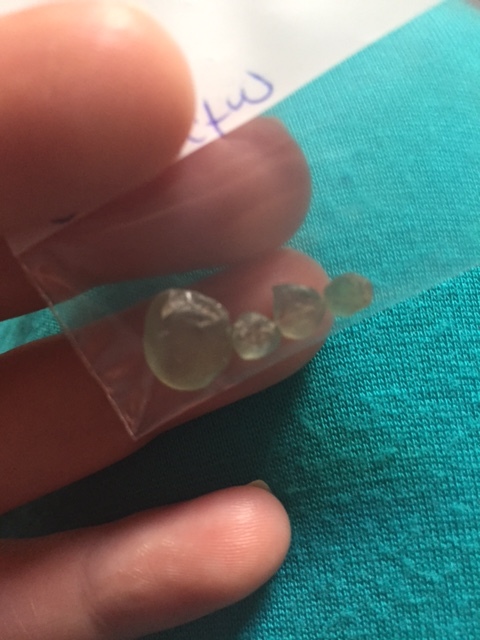 After mining for sapphires (where I found my biggest sapphire to date – a 3.6 carat stone!) 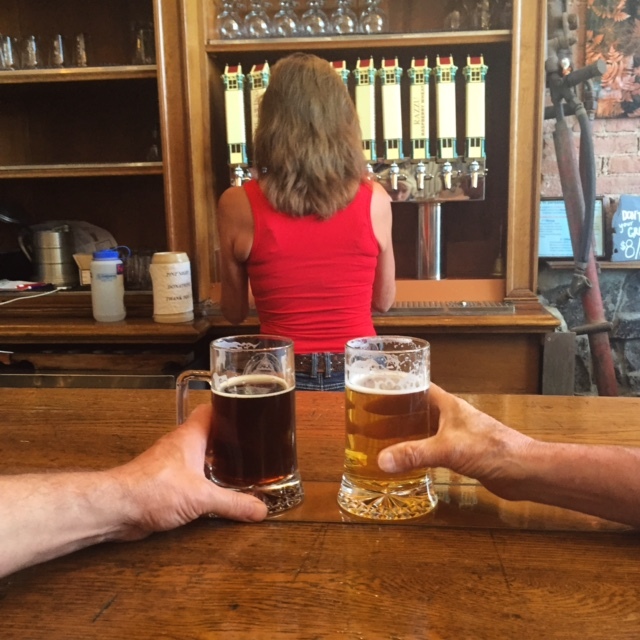 at The Sapphire Gallery, we headed over to the Philipsburg Brewery where we hung out with locals, loaded up on chocolate caramels at The Sweet Palace and had a tasty dinner at The Silver Mill. I’ll give you two guesses as to which store is my favorite in Philipsburg. The next stop on our food adventure through Montana was Superior for a BBQ lunch along the Clark Fork River with Rugg’s Outfitting. 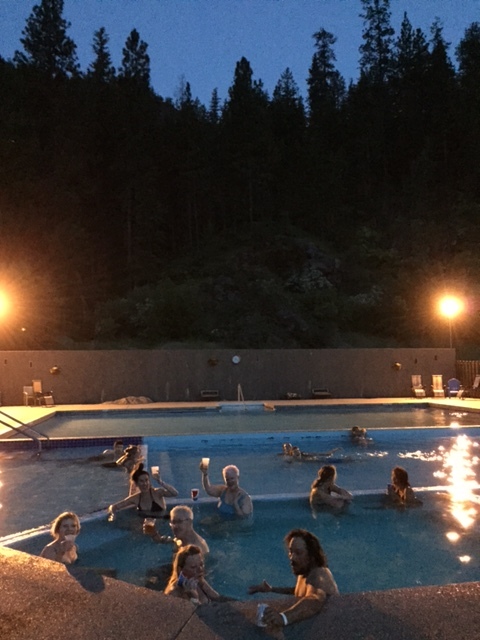 After our afternoon outside, we headed for Paradise and Quinn’s Hot Springs Resort. (You can read more about my love for Quinn’s here). 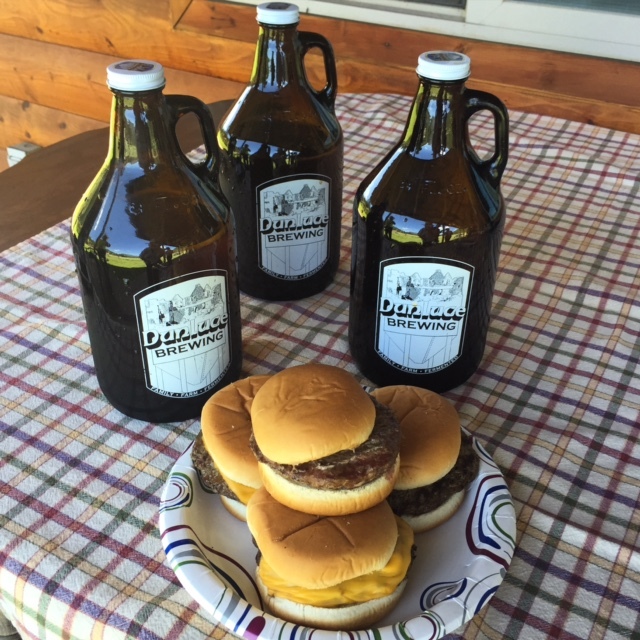 Locally raised beef burgers paired perfectly with beer from Montana’s newest brewery, Dunluce Brewing in Superior. 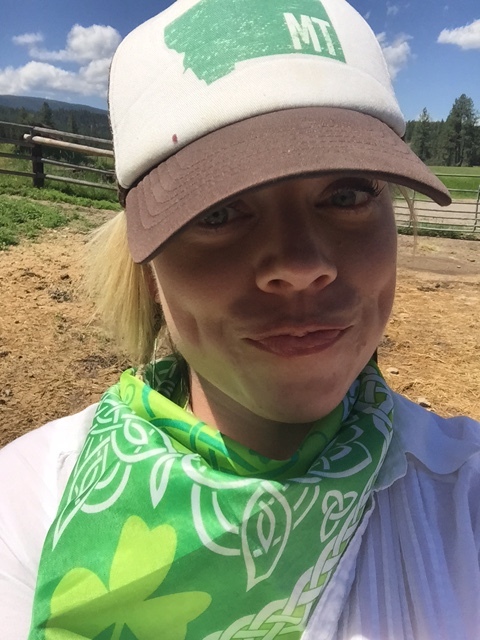 My Montana cowgirl attire includes a baseball hat and an Irish bandanna from Butte. 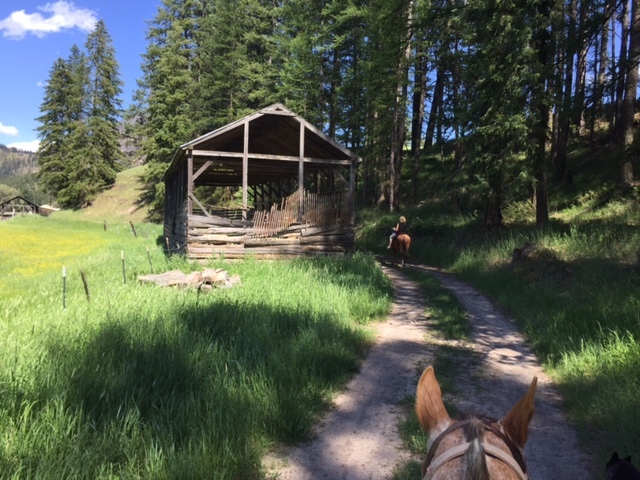 Our two-hour trail ride went through meadows, along a river and around a mountain lake. 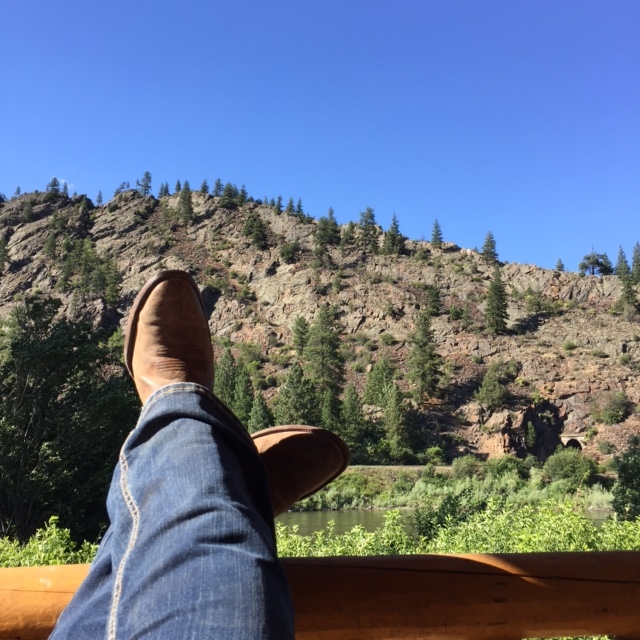 Kicking back at my creekside cabin at Quinn’s Hot Springs. These two were the perfect ending to a prime rib dinner. Any stay at Quinn’s requires a soak in the hot springs. 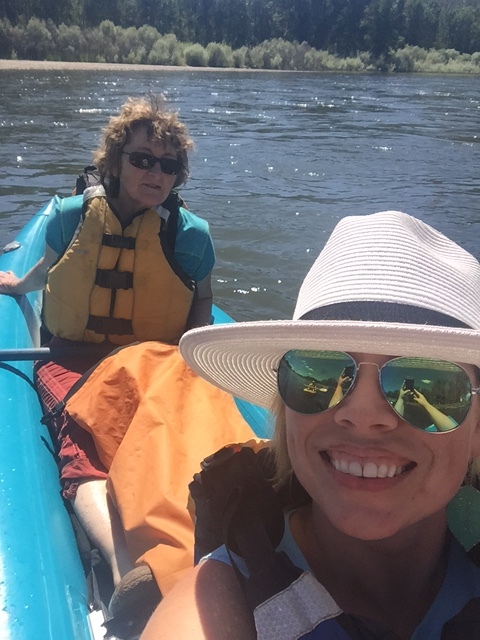 On the last day of our trip, we decided to head to Missoula in time to visit the farmers markets before our afternoon kayaking adventure on the Clark Fork River with Montana River Guides. Our float along the Clark Fork was gorgeous. 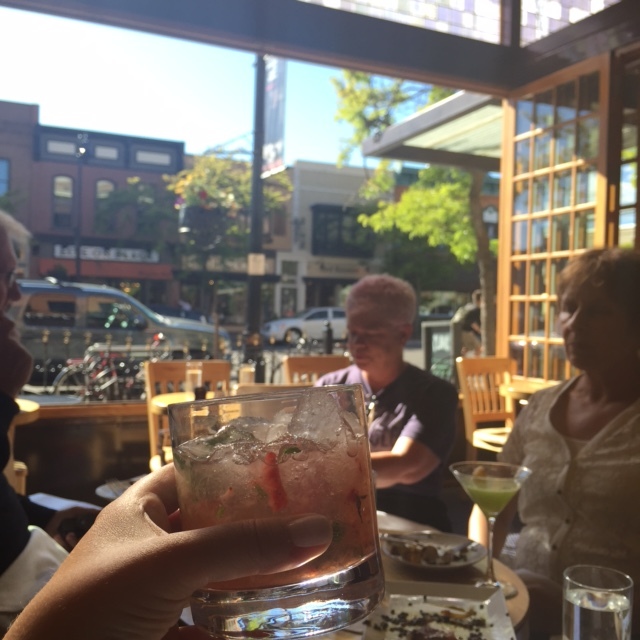 Before dinner, we hydrated at Plonk in downtown. Big Dipper (and this guy and his Montana tattoo) were a perfect end to the evening. My traveling companions. Miss you, girls! Now if you’ll excuse me, I think I better go hike a mountain (or seven). 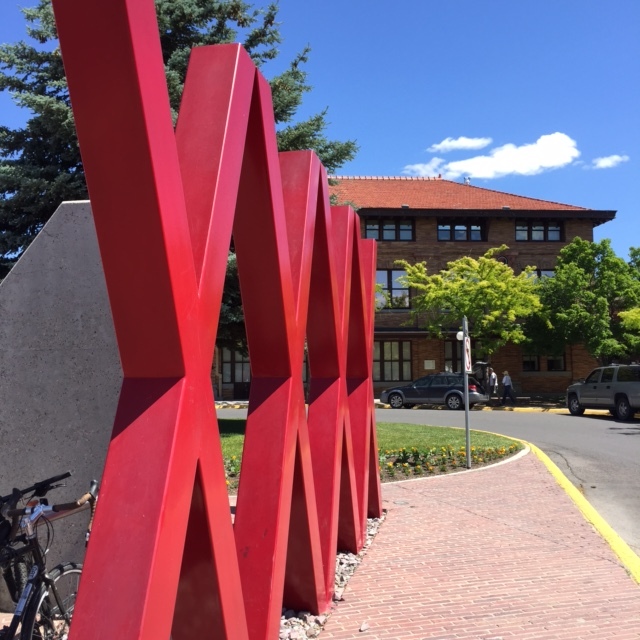 PS: Where are YOUR favorite places to eat in Montana? 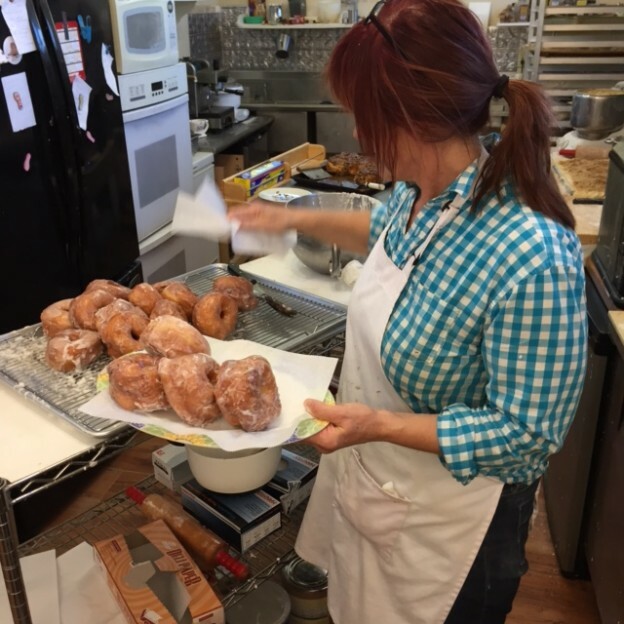 This entry was posted in Uncategorized and tagged Food, Montana, road trip on June 25, 2015 by tiatroy. Love the info! We just moved to Thompson Falls and are discovering (and loving )our new surroundings. Pam, you’re a gal after my own heart. I LOVE all of those places. Can we just talk about the bread pudding at Tupelo?! 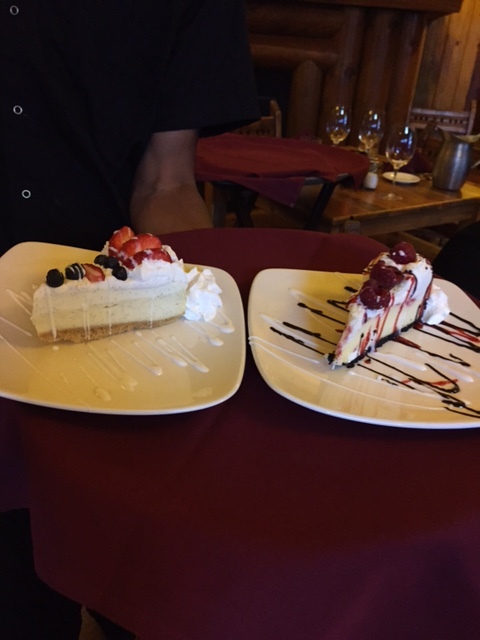 The Echo Lake Cafe near Bigfork has some pretty rib-sticking food that will get you on your way, be it up the trail or a nice car adventure through Glacier National Park. And if you go over the “pass” be sure to stop at Johnsons Cafe on the hill in St Mary. Still serving food the same way 80+ years ago. Joanie The stay bullet in Ovando, Montana. Breakfast or Lunch. Having just returned East after spending 4 1/2 months in Missoula, this post made me want to immediately move back to montana! Thanks for the taste tour! Should have gone to Pork Chop John’s uptown, much better than the Freeway. Also Joe’s Pasties. Mary, Pork Chop John’s is delicious! Is Pork Chop John’s still in Butte? We haven’t been in years but always enjoyed those pork chop sandwiches. It is still there, Cheryl! My grandpa had a general store and butcher shop, too! It was in Kevin. He didn’t cook up anything good, but he did try to get me to eat raw ground beef on a saltine, his favorite snack. I’m sure you can’t get your beef tartar any fresher. Julie, that’s awesome! I have a feeling our grandpas would have been good friends. My dear Tia: I am so jealous! But now I know where my next road trip will take me, even though I have been to almost all of your stops. After all, I have all the time in the world now . Great blog and thanks for the super travel ideas. And, hello to Donnie! 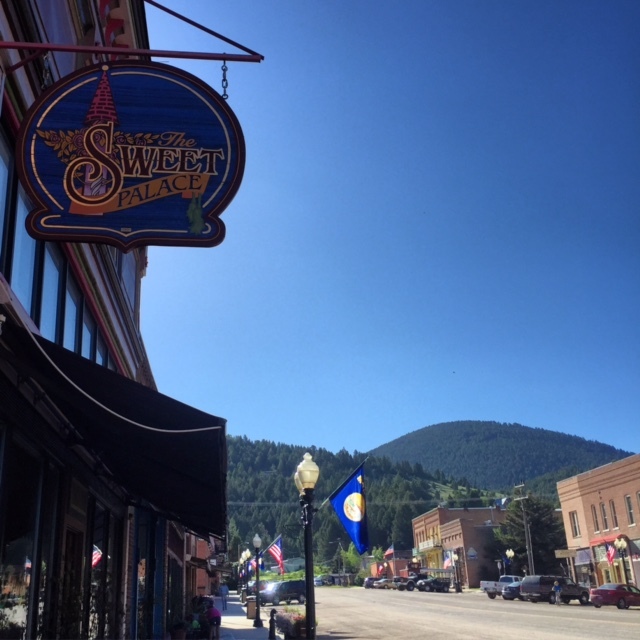 Sweet Peaks in Whitefish, Kalispell, or Bigfork. It’s the most amazing ice cream ever! I’m ruined for life. Yum! 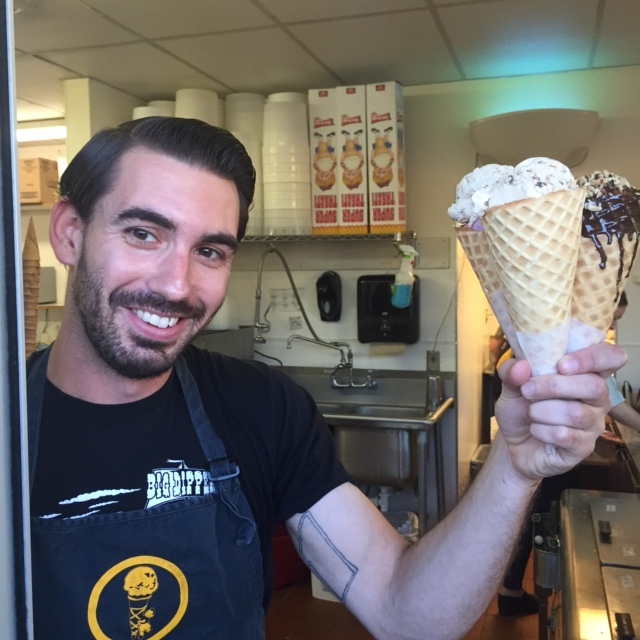 Love Sweet Peaks…there’s one in Missoula now, too. Have you had the coconut sundae?